KUALA LUMPUR (Jan 10): Newly-listed glove dipping lines manufacturer HLT Global Bhd is confident in the company’s growth potential in the glove dipping line segment. “Given our strong foundation, technical expertise and experience, we are confident the Group will continue to record strong performance in the coming years,” said its chief executive officer Chan Yoke Chun during the listing ceremony. HLT Global today debuted at 55 sen, a 22.22% premium with 5.57 million shares traded on the ACE Market in Bursa Malaysia. “We have been seeing an uptrend in the rubber glove industry and our business is closely-tied with rubber glove manufacturers. We grow together,” Chan added. A recent report from Smith Zander forecasts the glove-dipping line industry in Malaysia to grow at a compounded growth rate (CAGR) of 15.2% from an estimated RM326.5 million in 2016 to RM575.9 million in 2020. "Today, HLT Global Bhd moves one significant step closer to realising our business plans. Moving forward, we intend to leverage on our strong track record and continue to seek market opportunities and strengthen our market presence in the domestic region as well as globally,” Chan said. With presence in Thailand, Indonesia, India and Saudi Arabia, the company is looking to penetrate into the Vietnamese market. 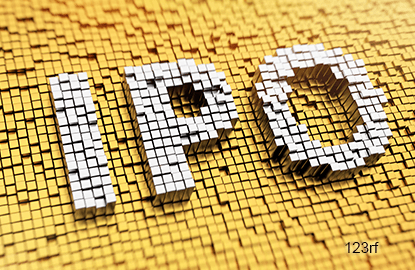 The IPO exercise entailed a public issue of 39.591 million new ordinary shares at an offer price of 45 sen per share. The shares had garnered an oversubscription rate of 24.64 times during its balloting. Raising RM17.8 million, the company plans to utilise the IPO proceeds to acquire land and establish its research and development facilities.